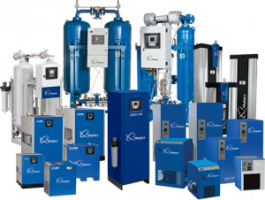 Quincy Compressor air treatment and condensation management equipment is engineered to work with all rotary screw and reciprocating compressors. 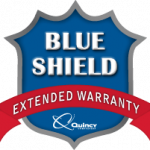 Like any Quincy product, their air dryers, condensation management and other air filtration equipment has been designed to provide exceptional performance in all applications and is backed by an excellent warranty that guarantees years of trouble-free use. 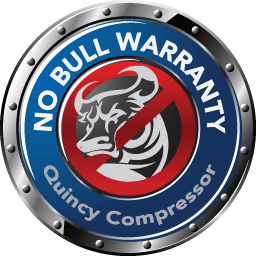 To complement Quincy compressors, Quincy offers a large selection of air filtration systems. Standard filters include particulate, coalescer and absorber-type products, all of which feature push-to-fit design, multi-wrap element construction and a 10-year warranty on aluminum or steel housing components. Use Quincy mist eliminators to remove oil, particulates and water from compressed air with exceptional efficiency. These products feature a unique double element design that uses a combination of impaction, interception and Brownian movement to remove 100% of particles 3 microns or larger and 99.5% particles as small as 0.01 micron. In addition, Quincy also offers high-quality, specially blended borosilicate glass microfiber elements compatible with all major manufacturers’ products. Quincy condensate management products provide a number of important air treatment functions. The no-loss pneumatic (QDD) and electronic (Q-MAT) drains offer a reliably efficient performance. The electronic timers allow for easy coordination of industrial processes. Quincy also offer the QCS series of condensate purifiers, available in up to 1600 CFM configurations to accommodate multiple compressor units. 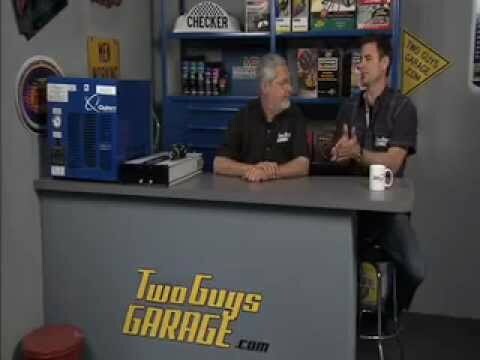 Features include a carbon-free filter media that removes all compressor fluids, including polyglycols. To simplify maintenance, filter cartridges are removable, allowing for easy disposal of contaminated condensate. Quincy dryers are an essential tool for condensation management in a number of industrial applications. Their refrigerated air dryers are available in cycling and non-cycling configurations. For smaller footprint applications experiencing consistent loads, choose one of the QPNC series of non-cycling dryers. If you’re looking for maximum efficiency, QED dryers feature a three-stage heat exchange system with cold storage, allowing the unit to cycle on and off as necessary. For a compact, high-temperature system designed to work with reciprocating compressors producing discharge temperatures up to 180°F chose the QRHT. Equipment in the desiccant dryer lineup — which includes the QHD, QHP, QBP and QMOD models — use the proprietary Q-SORB product to absorb moisture that can lead to operational problems in your compressors.